The CDLLife is booming! So you need to learn how to navigate your new career in one of the largest industries in the United States. 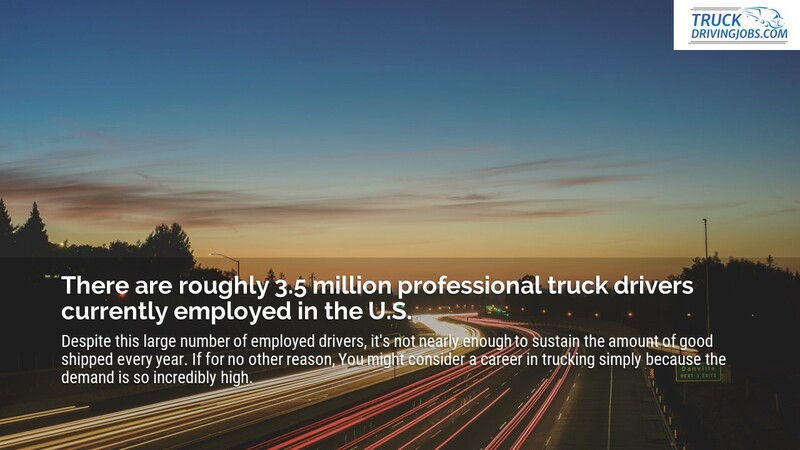 The American economy is growing, and many occupational experts agree that a career in professional truck driving is an excellent and lucrative decision for those looking to enter a field that is constantly expanding. Many Americans wonder how the process to become a driver works, and exactly what is entailed in the CDLLife. We hope to give you a quick checklist that walks you through the process of becoming a driver and we'll even set you up with ways to contact companies that will PAY for you to get your CDL or hire brand new drivers so you can get your experience. Why Should You Consider The Life of a CDL Truck Driver? As of 2018, many sources are projecting a massive driver shortage in the United States, according to Bloomberg the trucking industry was short of almost 300,000 drivers in the second quarter of this year. And it only looks like things are getting worse. There are roughly 3.5 million professional truck drivers currently employed in the U.S. however, despite this large number of employed drivers, it's not nearly enough to sustain the amount of good shipped every year. If for no other reason, You might consider a career in trucking simply because the demand is so incredibly high. With this trend continuing to rise indefinitely, it makes this an industry that you can enter easily and it makes being a CDL driver extremely popular and profitable with sign on bonuses and extra benefits. In order to begin your career in trucking, you need to go through training that is provided through a trucking school or a program administered directly by a trucking company. While both types of training programs present advantages over one another, it’s important for a driver to choose the training program that will offer the most comprehensive training as well as one that offers networking benefits after a trainee has completed their program. To this end, many men and women end up choosing training programs offered through a trucking company as they make their way towards becoming a true professional. This option not only pays for your truck driver training, but also gaurantees you a job once you have completed their training program. What if you already have a CDLA? How Does Holding a CDL Benefit Student Drivers? Though student drivers are still getting their bearings in the trucking industry, they are presented with many excellent opportunities for learning and growth. With a Class A license in hand, you're able to present yourself to companies as someone who is still learning the ropes but also looking for positions that are rewarding. Your first trucking job will still involve a lot of hard work and training opportunities. And depending on the company you choose, you may get very different experiences. But either way think of it as you paying your dues to get the right amount of experience so that you can take the next step. Most students won’t find lifelong careers with their first job out of training, but recent grads can still attain a great deal of knowledge and experience in their first truck driving job. Once you have a few months of professional driving under your belt, you become one of the most valuable resources for a company that is looking to fill their trucks. Many companies across the lower 48 are constantly searching for a qualified, confident, and hard-working driver who has anywhere from a minimum of 6 months to 12 months of experience, and they'll often offer competitive compensation and benefits in order to court you to drive with them. The incredible need for drivers in the industry is advantageous for any trucking applicant, and very often YOU can choose from a wide array of companies that are hiring. You get to weigh their options, benefits, and bonuses and decide what might is the best career choice for you. Are You Experienced? In the CDL Industry, Veterans Can Earn More Faster and Drive Further! 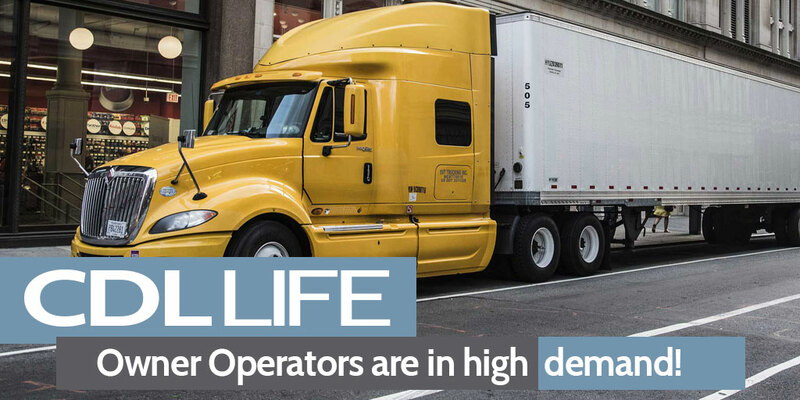 Just as is the case with any industry, as you advance in the CDLLife and becomes more experienced as a driver, you have the potential to earn some of the highest pay on the road. Many companies relish the opportunity to work with a driver who has demonstrated a clean and steady career behind the wheel - and many of these companies will offer pay that is comparable to your experience. For a veteran driver who's willing to make over-the-road runs and commit to a life on the road, they can expect to come away with a great deal of money for their hard work. However, make no mistake about it it is very hard work with a lot of sacrafices. And as you build htat experience you open yourself up to even more options. Working For Yourself! Take Your CDL Driving Career To The Next Level. Some drivers in the industry prefer to work as an independent contractor (otherwise known as an owner-operator) rather than work for a company. While there are more company drivers in the country than there are owner-operators and other types of independent truckers, this does not mean that driving for oneself is a poor career choice. But remember it is a CAREER CHOICE and comes with many decisions and responsibilities. You own your truck and you pick your loads. You are in charge of your career. While no driver is entirely independent (they must depend on loads coming in and maintenance for their vehicles) some drivers feel as though they are more in control of their career when they work as an owner-operator. Unlike company drivers, owner-operators are drivers that control their own routes, their own hours, and own their own trucks! They proceed with their driving career as they see fit. In many cases, owner-operators can work however and whenever they like without fear of a fleet manager retaliating against them for turning down a load, but they must also balance working on their own terms as well as working enough to make their career profitable. There are great organizations you can join as an owner operator that help you learn the ropes of this next level career. What is the life of a Lease-Purchase driver like? Lease-Purchase drivers are unique because they often exist in a separate area in between company drivers and owner-operators. In this sense, a lease-purchase driver is automatically an owner-operator because they are paying for a truck they bought from a company in order to become independent, but they may be subject to the whims and fancies of a company while they work to pay off a truck. For a driver that may want to ease themselves into the owner-operator lifestyle, a lease-purchase option is often a great way to go. Be extremely careful with what you sign and make sure you fully understand the terms of your deal and what you are really getting in to. While purchasing your first truck is a huge investment, doing a lease purchase should be looked at with the same seriousness. While you will most likely make mroe revenue, you have a lot more bills to take care of. What other options are there for the CDL Life? As more drivers are needed to accommodate various types of freight in the country, there are more unique and interesting commercial driving opportunities that are being presented. 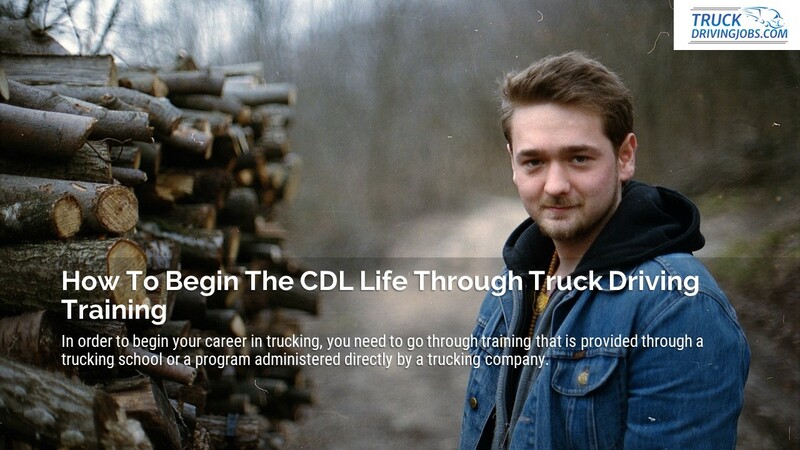 CDL holders have flexibility in their skills and can use their knowledge in order to pick up work doing many unique things such as transporting passengers, driving livestock, or working as a hot-shot driver to transport oversized loads for customers who can’t find a driver specialized enough to assist them. The more experiences a driver takes on during their career, the more they can offer potential employers. The path to becoming a successful truck driver may not be easy, but with helpful resources online, finding a trucking job and the tools along the way to succeed has never been easier or more accessible. 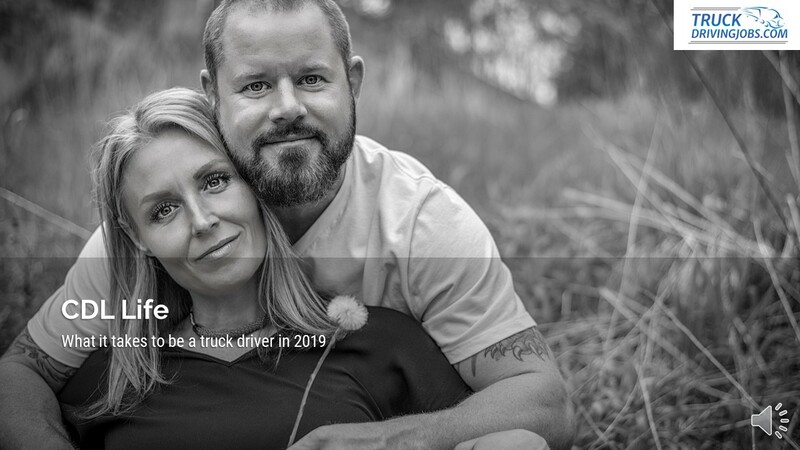 There are many different paths one can take when embarking upon the lifestyle of a trucker, and there is more support for these individuals now than there ever was. Given that there is no linear path for a driver may be intimidating for some, but ultimately it may work out for the best for others who want to thoroughly explore their options.